I sat down to paint my nails, looked at the clock, and realized it was about 12:15am. As much as I would love to paint them right now, I am beyond exhausted and don't want to wait for them to dry. The other night though, I somehow got a second wind and decided I had to paint my nails. I sat down around this same time and started starring at all my polishes. I wanted something blue on my nails, I knew that much for sure. I grabbed my bottle of Color Club Blue Light and attempted to open it, and again, had no luck. I have a feeling that bottle is forever stuck closed which is depressing because it is the prettiest sky blue ever. I really need to find one of those rubber bottle opener things. I then grabbed the next best thing, which was Funky Fingers Zeppelin which is a foil baby blue. Cute right? Instead of exactly copying cutepolish and putting ducks on just one nail, I went all out. Sinful Colors Let's Meet - duckies bodies! I beyond loved this manicure. The marbled dots were so easy to do. I copied what cutepolish did and put a dot of each color on a paper plate. I then took my dotting tool and dunked it into each of the polishes. I was skeptical it would work but it did amazingly! I love Zeppelin, the base, for two reasons. One, the color. Two, it is an EXACT match to Color Club's Luminscient from the 2011 Foil Collection. 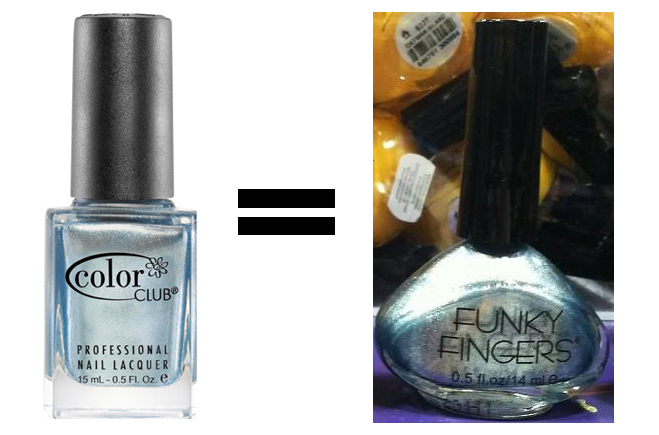 Funky Fingers is manufacturer by Forsythe Cosmetics. Since I do not own the Color Club polish, I googled some pictures for you all to be the judge. Side by side when you see them at the store they are the same. 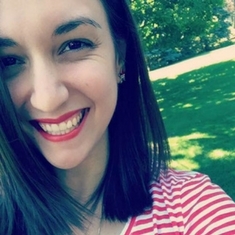 I just realized that I wasn't even following your blog! 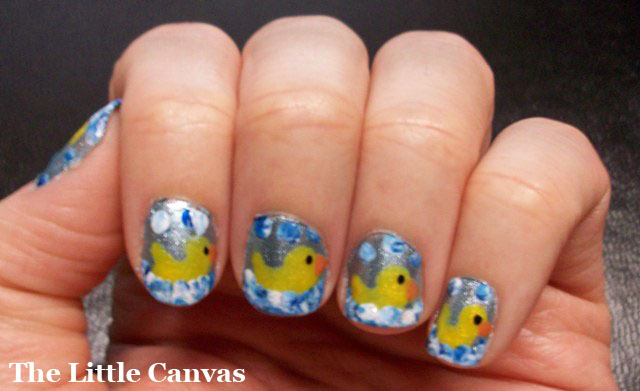 I love your nail art.These little duckies are so cute!